Coming down heavily on the Centre over Vijay Mallya's arrest, the Congress Party on Wednesday said making hullaballoo over the liquor baron's detention and celebrating it as a great achievement by the government is premature and unnecessary. 'Surely this is not a feather in the cap of the government of India. This is a procedural matter within the jurisdiction of UK police. But for the government to telling people here that we have done something very big is premature. 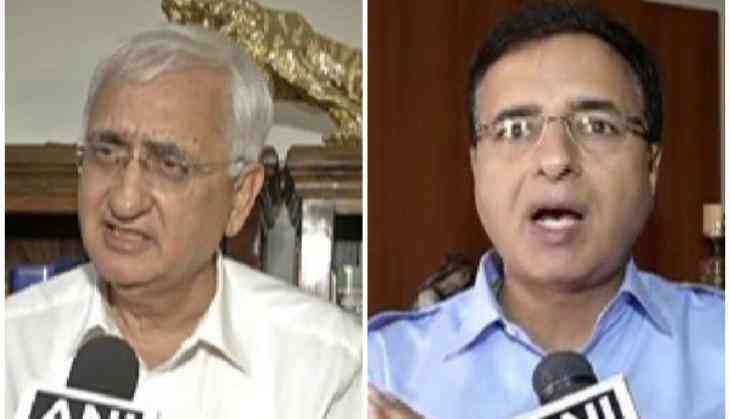 To make hullaballoo of this and to celebrate it as a great achievement is unnecessary and premature,' Congress leader Salman Khurshid told ANI. Echoing similar views, another Congress leader Randeep Surjewala said that the Bharatiya Janata Party (BJP) should not hoodwink people of India, adding that Mallya's detention was made because of the rigorous campaign of the grand old party. 'Relentless campaign of the Congress party and its vice president Rahul Gandhi has finally led to the temporary detention of Vijay Mallya in the UK. But there are some questions which BJP needs to answer. Is it not true that Mallya was elected as Rajya Sabha member in 2002 with the support of BJP in Karnataka? Why does BJP support such a defaulter? Is it also not true that CBI had registered a case against Mallya in 2015? Why was he not detained and permitted to leave India? These are the questions which BJP and Modi Ji need to answer instead of hoodwinking people of India,' Surjewala told ANI.